PBT fencing equipment carries the CE certification markings and these standards exceed the FIE requirements for 800N clothing and 1600N masks. The CE standard also exceeds the 350N clothing standard. During the 1990’s European CE standards for chest and breast protection were developed for both Fencing and Martial Arts, and QP Sport products were used as the default or accepted protection item. 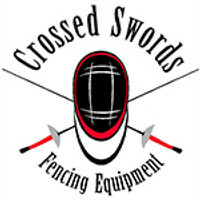 All QP Sport products meet either or both EN-13567 (Fencing) or EN-13277 (Martial Arts). For the safety rating of other suppliers, please see their respective websites.